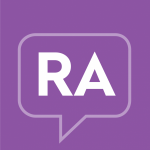 In this series, we discuss causes of anxiety for those facing physical illness like rheumatoid arthritis and its side effects. Phrases in quotes are the words of our community members across various conditions on what it’s like to deal with these anxieties. While not every nonprofit provides financial assistance, they can often refer you to programs. In addition to national nonprofits like The Arthritis Foundation, contact local nonprofits that may know about local resources.